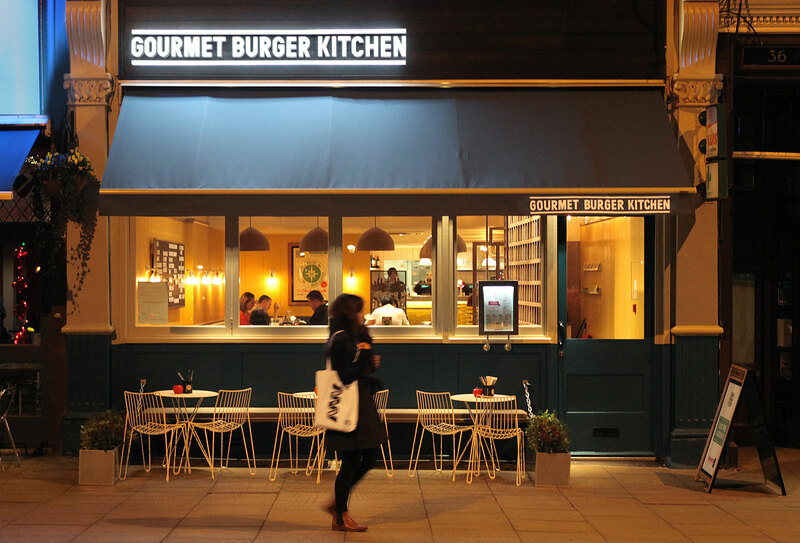 Whilst the mainstream on-trade, and particularly the once booming casual dining sector appears to be taking a hammering, JD Wetherspoon, so often dismissed as the ugly duckling of the sector, is now swanning it over the competition. Here Tim Martin shares his guide to running a successful pub and on-trade chain. Tim Martin is at a loss to explain this tide of wellbeing that continues to flow towards his pub chain, considering for the last 38 years it has largely been deemed unfashionable. Perhaps, I suggest, they have become the Aldi or Lidl of the pub sector? He thinks not, although he admires both chains very much. They have a “cookie cutter” approach, which, he says, JD Wetherspoon has deliberately not taken. Every pub is individual and, whilst many in the sector have been seduced by the notion of brand, in pubs people like the fact they are individual, stresses Martin. We are sat, for example, in the Shakespeare’s Head in Holborn, London, where everything is designed around our favourite bard and playwright. 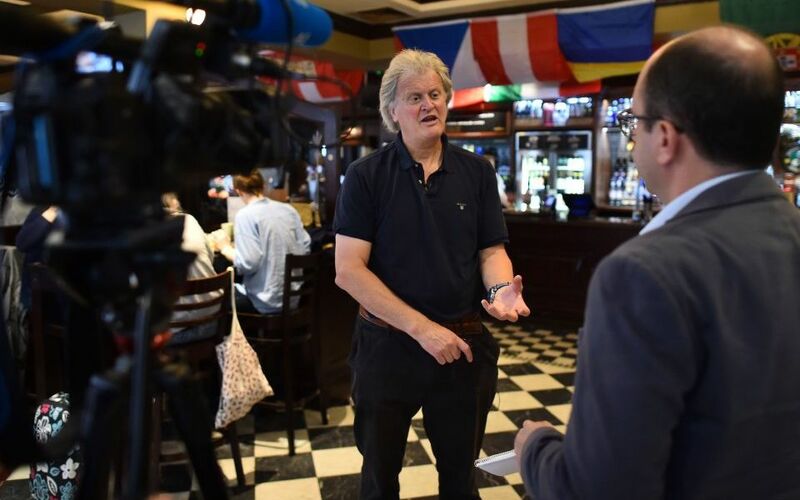 Martin believes the reason why Wetherspoon is, at last, gaining the respect of its peers to match its sales growth is because the world has moved away from the “cookie cutter” approach and more towards their way of thinking. Wetherspoon, he stresses, has been developing individual pubs for a long time. In fact so individual are the 900 or so Wetherspoon pubs that, although they all use the same base menu, no two Wetherspoon charges the same price. It might have some 150 plus items on its menu but careful analysis of pub turnover and sales per person, means they be carefully adapted to suit each pub. It is impossible to conceive doing an interview with Tim Martin, who has been calling for the UK to leave the EU long before Nigel Farage was on the scene, without referencing Brexit. I dare to suggest that perhaps even the thought of Brexit has put the brakes on the general economy. A claim that is firmly rebutted. Instead Martin points to what he says are “VAT receipts up by 15%, income tax receipts up 5%, tourism at its highest level and household income at historic highs and with 300,000 jobs created in the last 12 months”. So, in reality, Martin claims the economy is actually looking in good shape. What he calls the “doom narrative” is actually peddled by a “Remain dominated sect” comprising the “Oxbridge dominated elite and economists that write for the Financial Times, The Times, and others, and the Confederation of British Industry”. It is a “doom narrative” he believes that was created in the former Chancellor, George Osborne’s, mind desperate to find a meme to justify the story that the UK was better off inside the EU. “In actual fact the evidence points in the other direction – the UK is doing quite well,” says Martin. He only needs to look at his own pub chain to make that point. Its share price was up nearly 50% in 2017 when pre-tax profits jumped 27% to £102.8m. JD Wetherspoon is now the third biggest pub group behind only Enterprise Inns and Punch Taverns, with just over 900 pubs. Which is all good news for the drinks industry as wine and spirits account for around 20% of its sales. Although Martin concedes he has always been one step away from the wine and spirit industry – he is a beer man after all – he recognises it is made up of skilful intermediaries, like Matthew Clark, one of its main suppliers. He also knows what his customers want and Martin is not afraid to have his list largely made up of brands and names you would recognise in the local supermarket, Villa Maria from New Zealand being one of his own particular favourites. But with people drinking less and spending a little more is there room for the Wetherspoon list to become a bit more ambitious? For now no. He does not rule it out, but “unless the noise from staff and customers becomes so loud” that it needs to change it, the mainstream wine list is doing just fine. 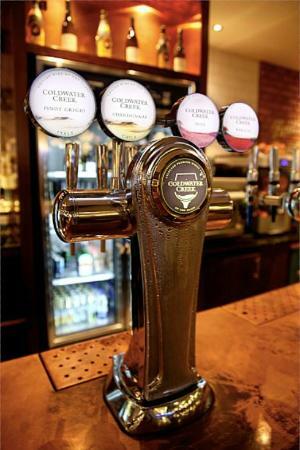 As the pubs also sell a lot of wine by the glass they want to have recognisable brand names that have a high throughput, including draught wine, so that the serve quality remains high. Martin’s past is rooted in beer and dealing with beer suppliers. Each pub has half a dozen guest ales, sourced through a specialist who handles all the small breweries around the country. So the main focus remains on the beer. Wetherspoon’s estate has slightly contracted in recent years after an expansion strategy in the aftermath of the recession which, Martin admits, may have been a little over ambitious; particularly where it was opening up a second pub in the same town, which possibly didn’t warrant it. Interestingly, though, sales per outlet has grown at the same time, as Wetherspoon has tried hard to mix up its offer and become ‘more things to more people’. The Financial Times estimates the average turnover of a Wetherspoon pub is about £1.8m in its last financial year, on which it made a 7.7% operating margin. Not bad considering Tesco’s operating margin is 1.8%. There have been a number of initiatives that have been introduced over the years that have contributed to that. It was one of the first pub groups to introduce breakfasts some 10 years ago. It was selling coffee and tea before that. Craft beer is now at a reasonable scale compared to three or four years ago and it has now extending food times from 10am-11pm. Such investments take time to bed in. 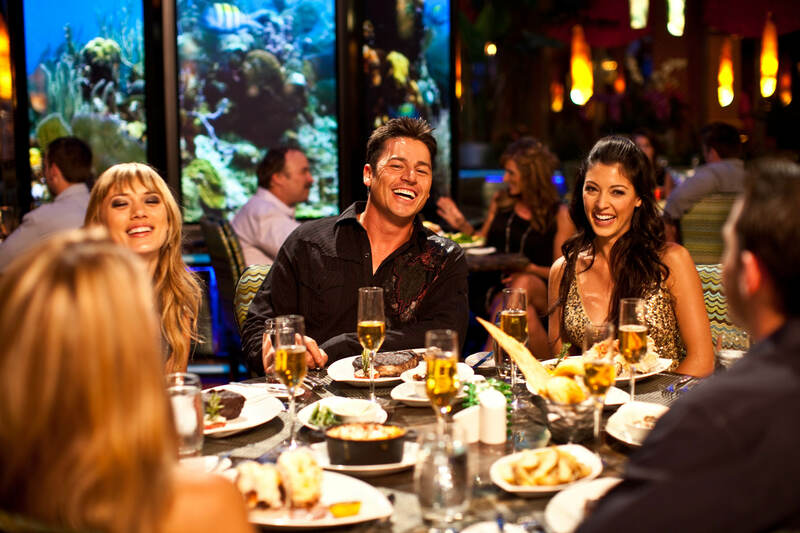 For example, the move to serve food later involved a lot of moving parts and put an extra 1,000 hours at £10 an hour of service on its bottom line. That’s before factoring in any other additional back of house costs. The average size of a Wetherspoon outlet has increased as well, which might be down to opening in smaller towns, where there is just more space. Bearing all this in mind, then, there will be less aggressive growth as most large towns and cities have a Wetherspoon, so there is less space to grow into. Equally larger outlets have pluses and minuses – larger capital outlay, more bums on seats and so on, countered by the potential larger income. 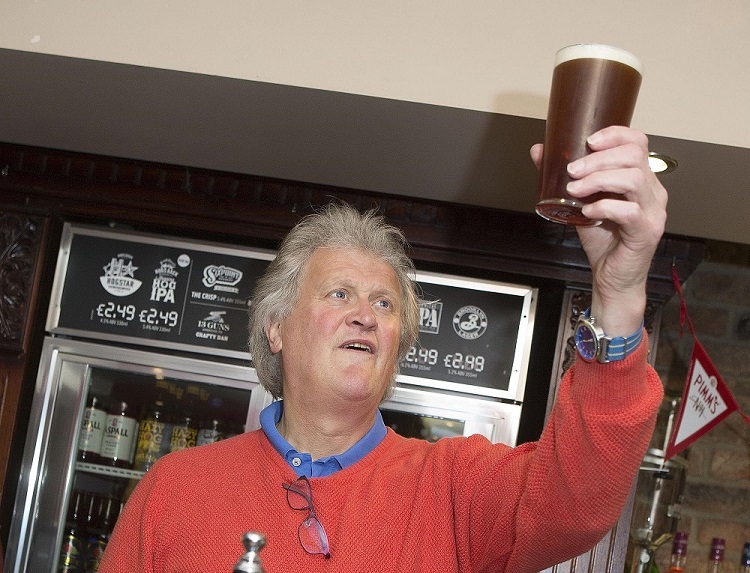 JD Wetherspoon is very much Tim Martin, so who on earth can replace him? Other than Richard Branson and Virgin it is hard to think of a public-serving company that has such a high profile figure synonymous with the brand. So has Martin considered who might follow in his footsteps? Not surprisingly he has no plans of retirement just yet. However, he does look earnestly at me and admit it is a tricky question for him to answer. Some companies, he admits, seem to successfully breed a culture of management through different generations. He assures me that there are plans in place at senior management levels. They are trying to codify what they do so there is some documentation there for future generations to take the chain on. But noticeably Martin’s appearance on Desert Island Discs featured the track ‘Keep on walking and don’t look back’ (Temptations 1965). What he won’t stop doing is pass comment (and a lot of it) on the sector he is in, how it is being run and how the government is running the country. Which puts celebrity chef, Jame Oliver, and his campaign for a sugar tax to tackle obesity right in the firing line. 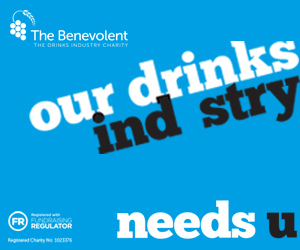 Whilst he concedes government intervention in the sector and regulation is unavoidable even desirable in the alcohol sector, he believes “one of the most ridiculous taxes ever to be introduced is the sugar tax”. It will cost Wetherspoon £4m in the next 12 months alone claims Martin. 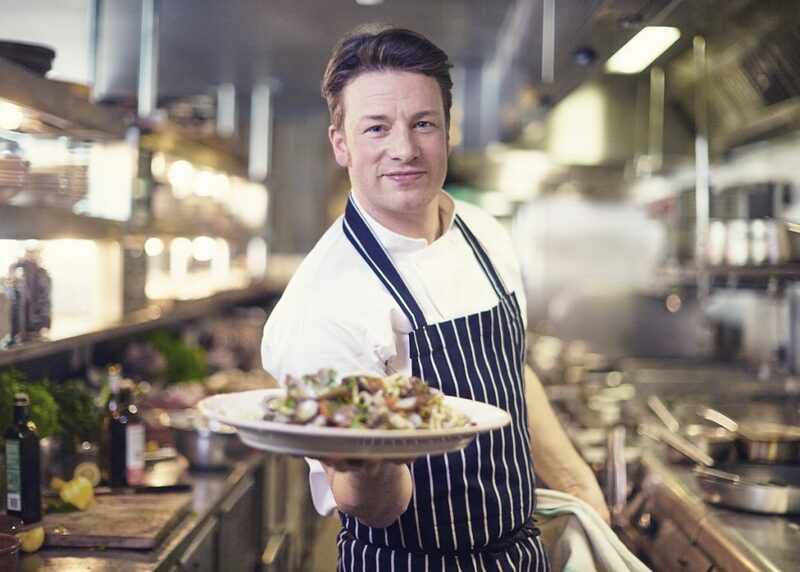 Tim is sure Jamie is a “nice guy” but he is a “silly f****r” and cheekily Tim suggests that having campaigned for the tax Jamie Oliver has now left it to the professionals to pay for it. The next two in the firing line are the ‘PR mad’ David Cameron and George Osborne who also qualify for the silly ‘F’ title. Alcohol to be like tobacco? Although Martin accepts there will be tighter future regulations on alcohol he believes it will not be treated as much as a scourge on society as tobacco. He points to the clear evidence that people are moderating their consumption and it would seem “too controlling” for the government to take serious further action. He also points to the evidence that suggests alcohol helps support communities through socialising and the health benefits that brings. We are living, he adds, in the dawn of the ‘Superagers’ where people are healthy into their 90s, and that US research, claims Martin, shows moderate alcohol intake contributes to their good health. Which is why he says he is actually upping his own consumption levels in order to extend his chances of joining the Superagers. If a hard Brexit comes and tariffs are imposed one of the products that could suffer is Prosecco – much loved by UK consumers and the UK on-trade. But Martin is quite confident all will be fine for the UK consumer. He points to Kopparberg, the popular premium cider. If people stop buying Kopparberg, which he stresses they are not about to do, the people who will suffer most are those in the small town of the same name. So it is with Prosecco. Without the UK trade it will be the people of the Prosecco region that will suffer. The UK trade can choose A.N. Other sparkling wine. You don’t get to run the third biggest pub group in the country without enjoying a glass or two. And beer remains his drink of choice. In the main he chooses to drink the same sort of 4-5% ales from brewers such as Doombar, Aberdare, Adnams and Exmoor. When it comes to wine then New Zealand Sauvignon is a favourite for white and New World for reds. All drunk alongside a plate of fish and chips in one of his pubs. “Oui, peut-être un peu”’ dit M. Martin. It might come as a surprise considering his anti-EU views that Martin says he has to leave our meeting as he is off to attend his regular French class, a language he has been learning for 20 years. JD Wetherspoon may or may not be fashionable in the future, but it will be reliant on its strong leadership. There are a number of different types of leadership which could be attributed to Wetherspoon’s success: autocratic, with Martin as very much the leader; democratic – as many layers of the organisation are involved in decision making; transformational, the pub sector has gone through massive structural change yet Wetherspoon is still fighting fit; and possibly transactional backed up by charismatic leadership. Whichever it is, JD Wetherspooon is still reliant on Martin and his unique style of leadership. So neither take him for a parochial, or underestimate the strength of his pubs. He is also one of the most thoughtful, friendly, refreshingly frank and challenging business leaders you could have the pleasure to meet. 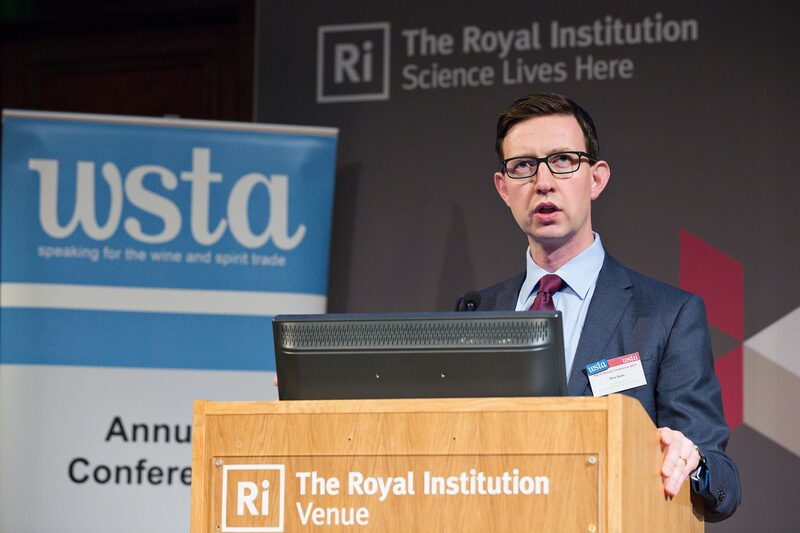 Alistair Morrell, aka The Wine Inspector, offers strategic marketing and communications for the drinks industry. Having bought and sold millions of bottles of wine on and for the UK Market over 30 years, Morrell now helps others achieve their market objectives. You can find out more here www.thewineinspector.co.uk and follow him on @inspectorwine. 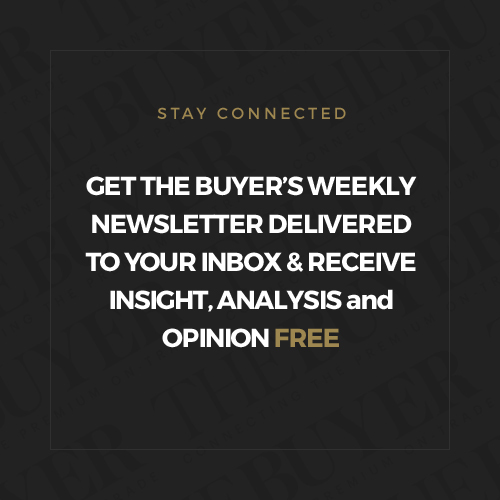 He will be writing a regular monthly column for The Buyer on different aspects of managing, running and building a business. 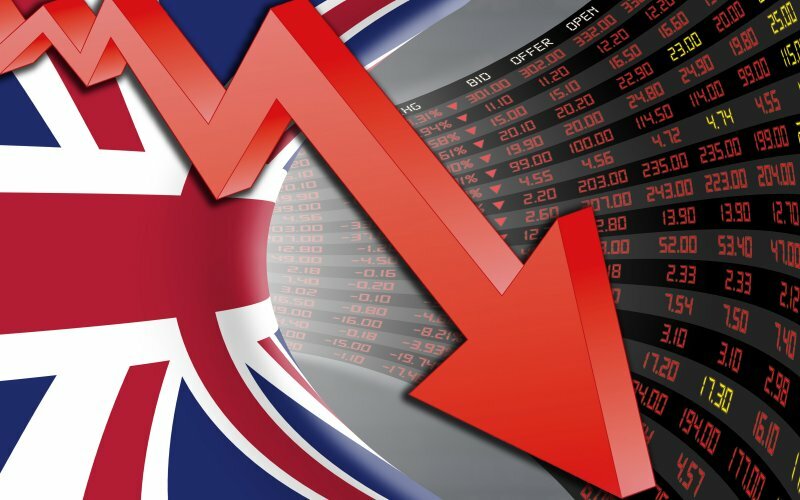 Alistair Morrell: should suppliers put up prices post-Brexit?